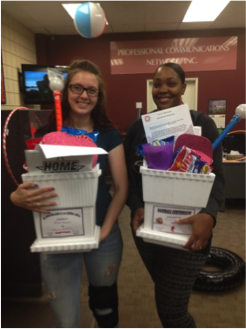 This month, PCN gave special recognition to our 3-year employees. These four hard-working young ladies have become strong team players, and they bring so much to the table. PCN is blessed to have this special group on our team, and we can’t thank them enough for their hard work, for always taking the initiative to help out with extra projects, and for everything they contribute to our team! Way to go girls! The average length of Employment here at PCN is 8 years! We offer many rewards and incentives to show our staff how much we appreciate them. We also treat them like family! Is your work constantly interrupted by the phone? Let us help! PCN can answer your calls – even while you’re in the office! We will follow your customized instructions and send you messages instantly! Refer a client to PCN and receive a 10% coupon! Contact us for details. Elite Cargo Service, Inc. is a domestic air freight and logistics forwarder, providing specialty services to their customers. It has been a great honor to provide after hours assistance to Elite Cargo Service, Inc. for over 15 years! We love working with their staff, and we truly feel like we are a part of their office! We love working with small businesses and serving this hard working community with 24-hour assistance. We consider ourselves as an extension of their company! Inland Tile and Carpet cleaning has been a client of PCN’s for several years. Carl is very busy in the field and relies on PCN’s services so that he never misses a call! If you are interested in carpet cleaning services or our Rug cleaning with FREE pick- up and delivery, give Inland Carpet Cleaning a call at 888-888-3068. The celebration continues as PCN gives special recognition this month to another special group of employees – our new hires. This group has been a part of our family for less than a year, but they are just as valuable and appreciated as the rest! Although the very first call they answered is still fresh in our minds, we are amazed at how fast this group caught on. We truly admire their drive and eagerness to learn – that’s still as strong as the day they were hired! PCN is partnered with government agencies and provides Callbox Services in Southern California! MiSecure Messaging app and desktop companion provide secure, HIPAA and reliable messaging. 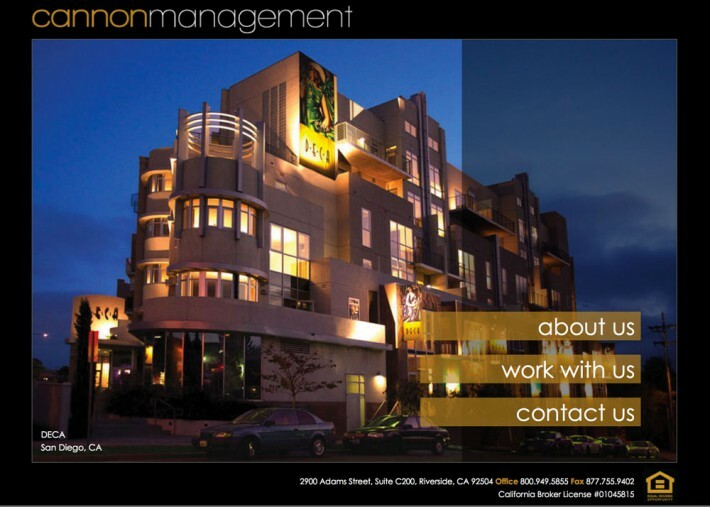 Refer a client to PCN and receive a 10% discount coupon – Ask for details! As part of our year-long celebration, we will be honoring our staff! Their hard work and dedication have made our achievements possible, and we appreciate all they do! This month, PCN gave special recognition and praise to fourteen employees who have been with PCN for ten+ years! These loyal employees have helped shape our standards to be better than the rest and have helped PCN become the success that it is today. 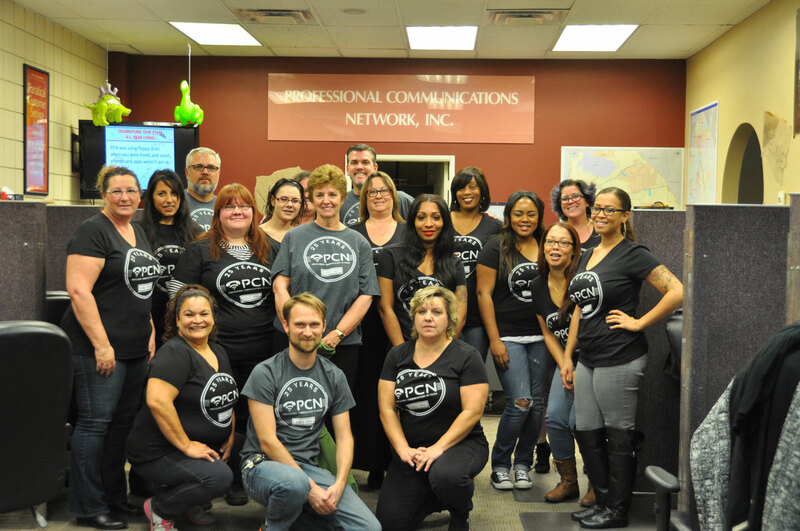 2015 is here, and we are excited to announce that PCN has reached its 25th anniversary! This is a huge milestone, and we would like to express our gratitude to you – our clients for allowing PCN to serve you through the years! We will be celebrating PCN’s anniversary and celebrating YOU all year long! Special announcements and new features will be introduced each month, and we invite you to join the celebration! Please check our monthly “PCN 25th Anniversary Newsletter” or visit us at www.PCNanswers.com! Since 1990, PCN has NEVER closed! 24/7 for 25 years and counting. Save time with text messaging. PCN can text or email any smart phone! Refer a client to PCN and receive a 10% coupon – contact us for details!